When you understand why boys do what they do — and can anticipate some of the unique challenges faced by boys today — raising boys is MUCH EASIER. I’ve been parenting boys for 20+ years now, and in this hour-long teleseminar, I’ll share some of the tips I wish someone had told me at the start! Whether your son is one or 21, you’re guaranteed to come away with a better understanding of your boy. You’ll better understand why boys do the things they do, and you’ll be better equipped to handle the boy energy that might be driving you crazy. You’ll feel more at peace and less alone, and more confident in your parenting. When you register, I’ll send you the call-in info. You can call in from anywhere. All you need is your phone. 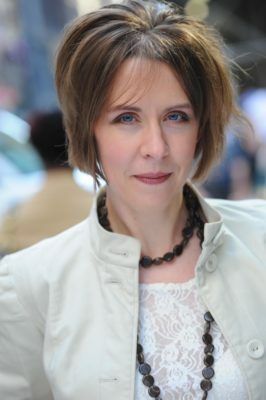 Presenter Jennifer L.W. Fink is the founder & creator of BuildingBoys.net. She’s the mother of four boys, ages 12-21. She’s also a freelance writer who covers boys and education for U.S. News & World Report, Scholastic Instructor, Parade, FOX News and The Washington Post.Jennifer also co-hosts the podcast On Boys: Real Talk about Parenting, Teaching & Reaching Tomorrow’s Men.